An "Uncommon-to-the-Core" Teacher in a Common Core World. . .
One of my absolute faves is the incomparable Carrie Gelson over at There’s a Book for That. Carrie’s posts tell me that she’s a kindred spirit…one of those teachers who are passionate about literacy and who totally enjoy matching the children they care about with amazing literature! Oh man! Where has this book been for the last nine years…and how come I’ve never heard of it? Pete and Pickles has the most whimsical illustrations PLUS the story. Have I told you about this story? It’s been a long time since I cried while reading a children’s book…yet here I am, admitting that this book had me sobbing. Berkeley Breathed has created a magnificent story of friendship that is so clearly captivating…so beautiful…sigh. This is one of those books that should be in every teacher’s collection. While were on the subject of great books about friendship, I’d be remiss if I didn’t mention Caron Levis’s book, Ida, Always. Such a heartwarming book about a friendship and the love between friends that never dies. Yet another book that can leave me in tears during a read aloud…but so so so very wonderful! I’m always on the lookout for great nonfiction texts…and The Marvelous Thing That Came From a Spring: The Accidental Invention of the Toy That Swept the Nation, by Gilbert Ford is just such a great book…super-interesting with some of the coolest illustrations I’ve ever seen. Why oh why didn’t we have such fun nonfiction text when I was a kid? Life’s too short to not share amazing books with your students. 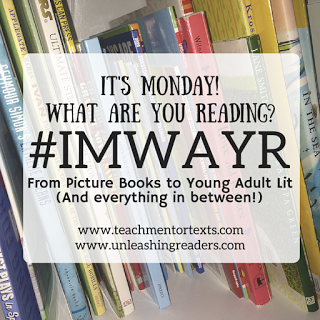 So…what are you reading to your students this week? The Tyler Factor…Why Our Reading Challenges Matter Most!